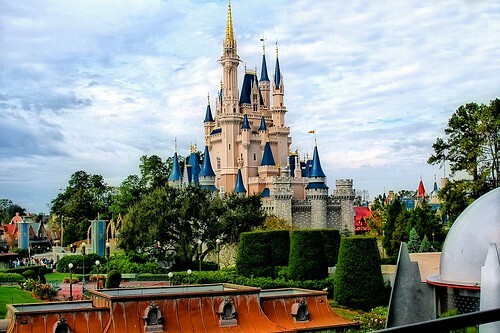 What are the must see Walt Disney World rides and attractions? This is of course a very difficult question to answer. There are so many things to see and do at Walt Disney World that to choose just a few that you absolutely must do is rather a challenge. But of course I am never one to walk away from a difficult task so here is my own personal Top 10 Walt Disney World must see rides and attractions. They are in no particular order – choosing a Top 10 is difficult enough, putting them in order would have been impossible! No visit to Walt Disney World is complete without seeing the Wishes Fireworks at Magic Kingdom. This spectacular fireworks show debuted in 2003 and has been enchanting guests ever since. The show is hosted by Jiminy Cricket and The Blue Fairy and is a classic tale of good against evil. It is a magical mix of fireworks, music and lighting effects. Watch out for Tinkerbell flying across the skies! Disney Wishes will be replaced by a new fireworks display in Magic Kingdom from 17th May 2017. We are sure that this will be just as spectacular as the Wishes display – but of course we will miss this classic display which has been a part of Magic Kingdom for so long. 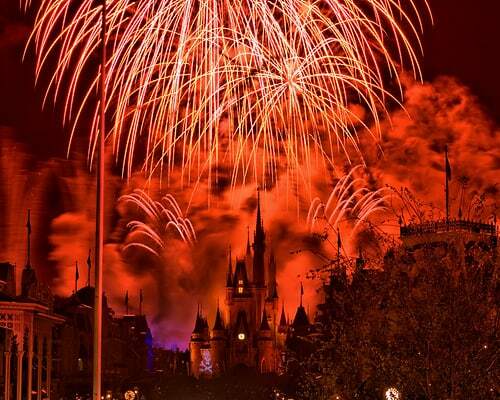 Which is the best viewing spot for Disney Wishes fireworks? There are many to choose from but some of my favorites include on the platform of the train station at the end of Main Street, sitting at one of the tables outside at the Plaza Restaurant, various spots in Fantasyland (which is less crowded but you can’t see Tinkerbell) and of course California Grill restaurant in the Contemporary Resort. Be careful to check the schedule for times and dates of showings for Wishes as these do vary. The thing about Disney attractions is that they are just so amazingly themed – and Disney’s Twilight Zone Tower of Terror is one of the best examples of this anywhere in Walt Disney World. Want to drop 13 stories in an elevator? This is the Disney attraction for you! Disney is the master of theme park story telling and every great ride has a back story. The Hollywood Tower Hotel has a history. It opened in 1919 and soon established itself as one of the places to be for the movie crowd. But on October 31st 1939 five guests enter the elevator of the hotel just as lightning strikes. The child star, her nanny, two young starlets and the bell hop vanish . All the other hotel guests run from the building leaving their belongings behind. The attention to detail in the line is exceptional. It looks just as though you would imagine it would if it had been abandoned in 1939. The Cast Members play their part brilliantly, all adding to the anticipation of the ride. The Tower of Terror is not for the feint of heart. It is a thrill ride and has a height requirement of 40″. It is very popular so make sure that you use a Fast Pass or arrive very early in the morning. If you are a fan of Star Wars (and even if you aren’t) this motion simulator ride is one of the best Disney World attractions. 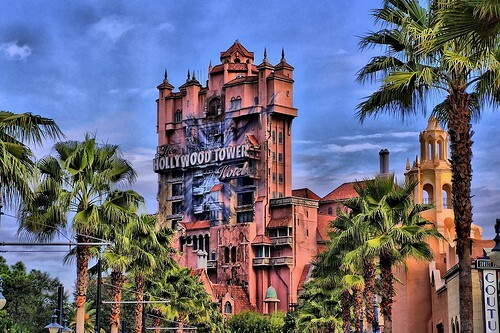 Located in Disney’s Hollywood Studios this classic ride is one of the major attractions in the park. 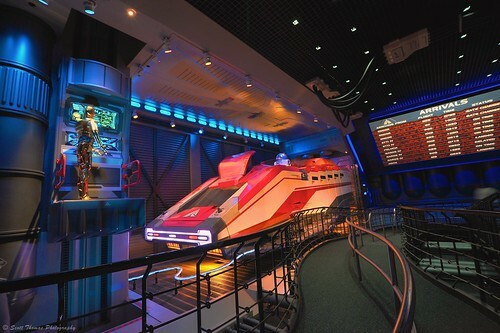 You will see all your Star Wars favorites including your accidental pilot C3PO who will take you on a journey which has 54 variations. This new technology means that you never know quite which direction your journey will take. Not many of us will get to experience a real safari in Africa but The Kilimanjaro Safari in Disney’s Animal Kingdom park is a great substitute for the real thing. Walt Disney himself always wanted to have a theme park which allowed guests to see real live animals and Animal Kingdom was the realization of his dream. 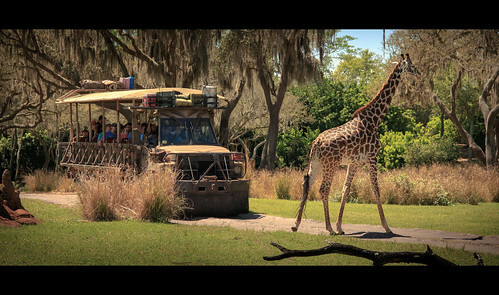 Guests board an authentic safari type vehicle as they are taken on a tour of the 100 acre African Savanna. The ride is also authentically bumpy so take note of those warnings! The very best time to take the safari is in the early morning. This is not just because the lines are likely to be shorter but also because this is the time when the animals are at their most active. There is a great commentary by the tour guide who will help you to see as many of the animals as possible. Some of the most popular sightings are of elephants, zebra, giraffe, rhino, hippopotamus and of course the lions (don’t worry they are kept out of your reach by some very clever discreet Disney landscaping). You may even be lucky enough to see the Cheetah (they are often quite difficult to see). Also on the savanna are warthogs, gazelle, flamingo, ostrich, okapis and wildebeest. As with all popular Disney attractions make sure that you get a Fast Pass or ride early in the morning. It will cut your time waiting in line. The animals are also more active in the mornings, so you will most likely see more activity on your safari if you go early. 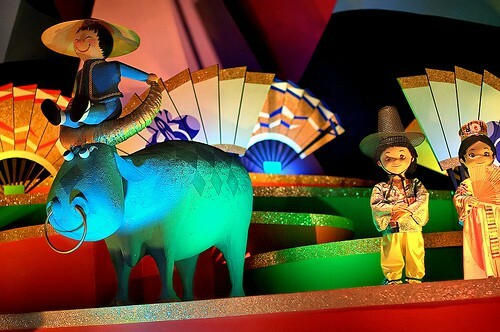 This classic Disney ride is one of the original attractions which was over seen by Walt Disney himself. Disney World has seen many changes over the years but this cheerful musical boat ride remains true to the original ideals of Walt himself. The theme is quite simply world peace through global understanding. Hundreds of animatronic dolls representing many countries around the world sing the unforgettable It’s A Small World theme song. Guests board a slow moving boat and sail around watching the brightly colored moving dolls sing their happy message. You know you will never get that song out of your head, but somehow it is worth it! 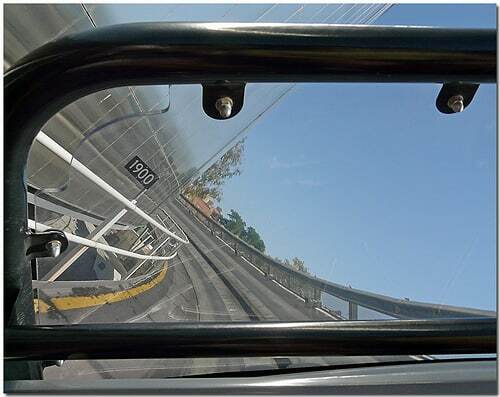 Another very original Disney World ride, Epcot Test Track is a theme park ride unlike any other. The story is that guests are needed to test the cars just like the crash test dummies do! Guests board a 6 passenger vehicle which will take them on a journey through various tests. These tests include braking, heat and cold tests, hair pin bends and of course the final speed test. Your test Track vehicle will reach speeds of up to 65 mph before bringing you back to the testing facility. This one is a lot of fun and is a truly unique ride. It is thrilling without being scary so a lot of guests who don’t usually enjoy thrill rides like roller coasters will enjoy Test Track. It is of course very popular so use the Fast Pass or if you don’t mind riding without the other members of your party the Single Rider line will save you a lot of time. 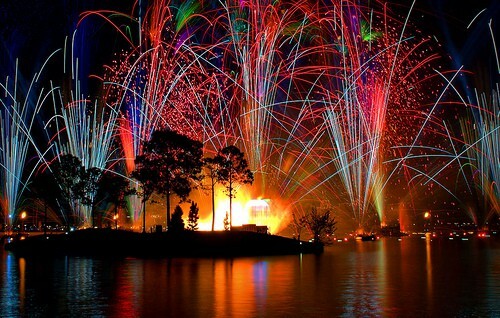 This is another must see fireworks event at Walt Disney World. Illuminations: Reflections of Earth is a unique fireworks, lights, pyrotechnics and music spectacular which is shown every night (weather permitting) around Epcot’s World Showcase Lagoon. Most places around the World Showcase Lagoon give a good view of the show but do be aware that trees can block your view so choose your viewing spot carefully. At busy times you do need to reserve a place at least an hour ahead of the show. Some of the best places to view are the bridge between the United Kingdom and France, on the platform just outside the Japanese restaurants, and if you can get a reservation, the outside viewing area in the restaurant at the Rose and Crown Restaurant. Located in Disney’s Epcot Future World, Soarin’ is a must see attraction. It is a ride which simulates flight, rather than a flight simulator! Another very unique experience only available in Disneyland, where it originally debuted, and Disney’s Epcot. Guests board a huge structure which has rows of seats in front of an extremely large screen. The seats are then lifted up into the air and have gentle motion which feels like flying. The movie Soarin Around the World is then projected onto the huge screen so guests feel as though they are flying over the state. The movie is beautifully filmed and seems to fly you over many destinations including The Taj Majal and The Great Wall of China. This is another classic Disney ride which originally debuted in Disneyland in 1967. This was the last attraction which Walt Disney personally supervised and participated in it’s design. Guests board a slow moving boat which will plunge down a (very small) waterfall and then take them through a series of dark scenes with animatronics, pyrotechnics, and explosions all to the tune of Yo Ho It’s a Pirates Life For Me! 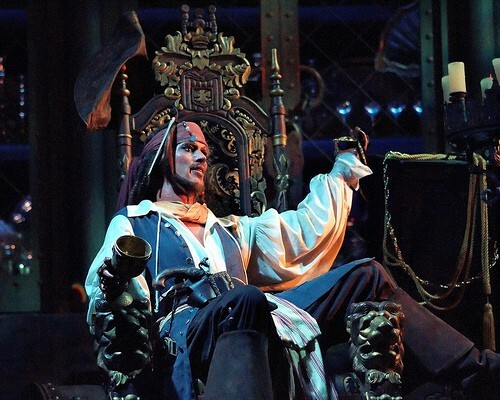 Most guests these days will be very familiar with the Pirates of the Caribbean movies and they will be pleased to see that Jack Sparrow appears in the ride more than once. Make sure that you arrive early for this Disney Hollywood Studios night time spectacular. Even though the auditorium has seats for 6,900 guests and standing room for 3,000 more it does reach capacity. To get the best seats you do have to be there 60 to 90 minutes before the show starts. Once again the theme is good against evil, with Mickey Mouse dressed as the Sorcerer’s Apprentice battling the Disney villains. The show is spectacular. Expect pyrotechnics, a huge dragon, images projected onto water, fire which seems to be right in front of you, fireworks and an epic musical score. This show seems to have every special effect known to Disney World thrown in! Of course all ends well for Mickey and at the end of this 25 minute show many of your favorite characters sail past you on the water in front of the set. Never under estimate how popular this show is – arrive as early as you possibly can to get a good seat. This can be a long wait if you have young children or if it is cold out at night. 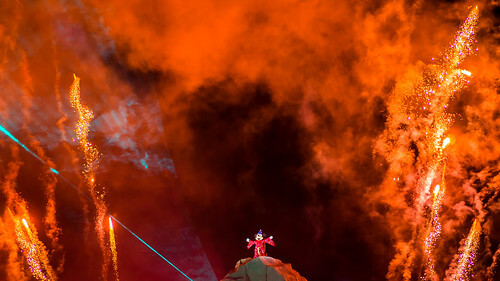 The only way to beat the crowds is to book a Fantasmic Dining Package which you can reserve ahead by calling 407 WDW DINE. You then reserve a meal at one of the Disney Hollywood Studios restaurants and get a place is the reserved seating area for Fantasmic. This is a reserved area, not a reserved seat so you do still have to be there around 30 minutes before the show. It is very difficult to pick a Top 10 Walt Disney World must see rides and attractions but here are my personal favorites. Which ones have I left out? Which have I included that you really don’t enjoy? Leave me a Comment below!